What to Do When a Repo Man Is Harassing You? A repo man is no car owner's best friend, but the behavior he exhibits on your property can land him in more trouble than you may think. In the U.S., repossession breach of peace laws are enacted at the state level to protect you, the consumer, as well as your creditor's repo men. Failure to obey these laws, which includes harassment by either party, can lead to financial restitution and even dropped repossession fees. Regardless of which state you live in, a repo man acting on the request of a creditor cannot harass you in any way, or he will be in violation of your state's breach of peace laws. The actual definition of a breach of peace will vary by state, but harassment in any form is prohibited. 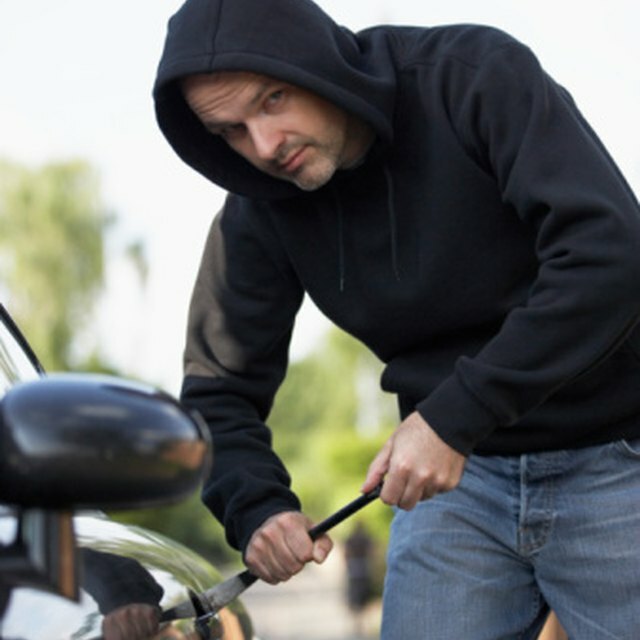 In some states, this may mean using or threatening physical force against you or your family members, damaging your property and in some states, entering a locked garage. While repossessions usually involve vehicles stored outside the home, some creditors will hire a repo man for household goods, although this is unlikely, as their value is highly diminished after the initial sale. If a repo man harasses you in an effort to enter into your home, you can legally refuse, as repo men are not allowed access into your house at any time. If the repo man refuses, you can politely ask him to leave, but if this does not work, you should immediately call the police. If you are harassed by a repo man, your first course of action is to research your state's breach of peace laws, which can be found by contacting your state attorney general's website. Secondly, hire an attorney with expertise in consumer rights. For a list of attorney general websites by state and a link to the National Association of Consumer Advocates, which can help you find a qualified repossession attorney, see Resources. You are entitled to financial restitution if a repo man breaks your state's breach of peace laws, according to the Federal Trade Commission. Depending on your case, this may mean the creditor is responsible for compensating you for damages, or dropping your deficiency obligation altogether. This is good news, as your deficiency is the amount you still owe on the vehicle after it is repossessed. For example, if the creditor repossesses your vehicle and sells it for $7,000, but your loan is worth $10,000, you will still be responsible for the repossession and sale costs, plus the $3,000 balance, which equals your deficiency.